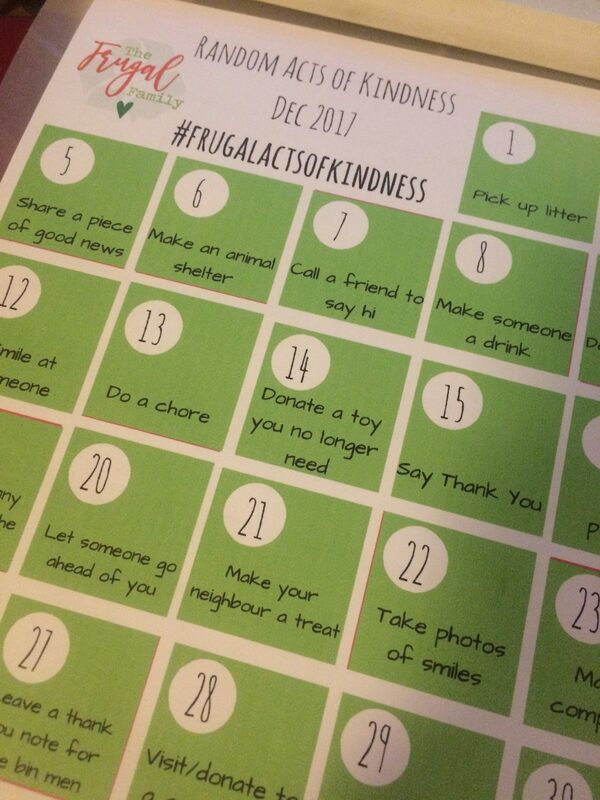 Our theme for December is #frugalactsofkindness, you can join in by using our free Random Acts of Kindness calendar with an idea for every day in December to be kind. You can switch them around depending on your situation, but they give you some starting points… We will be sharing our kind behaviour on our Instagram page, on Twitter and on Facebook – feel free to join us on one of those platforms and share with us using the #. I can’t wait to get in the Christmas spirit by sharing some nice around.